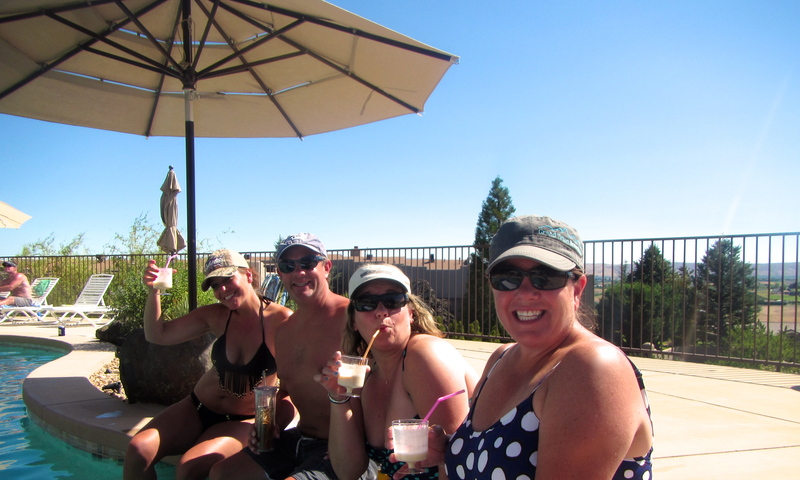 Miller beating the Yakima heat! Oh, yes we did! We flew back home for the annual Camp Cameron pool party! We could not risk our perfect attendance for this event and what a great opportunity for us to see our friends and family all in one weekend. We hadn’t been home in 10 mo’s! Left the MoHo in Syracuse, NY on Thursday morning and drove 5 hours down to Philly for our flight. This worked out well with our Alaska Airlines companion fare and we were able to drop the Acura at a dealership near the airport for some maintenance work. Got into Seattle at 9pm, my mom picked us up (she knew we were coming) and we stayed with her that night. We have missed that view from Camp Cameron! 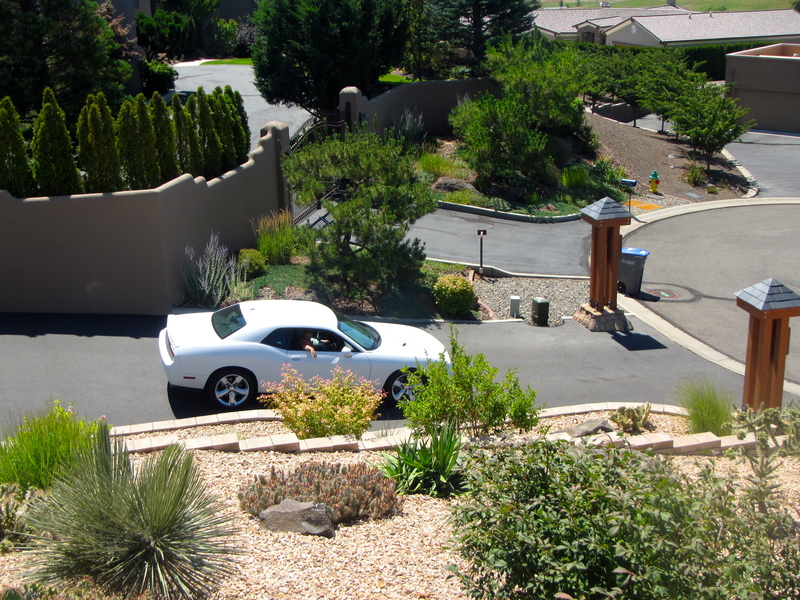 Friday morning, we picked up our rental car, a sweet Dodge Challenger, then took care of some appointments. Drove over to Yak and arrived around 2:30pm to an empty Camp Cameron (except for their new puppy, Penny) as they were out golfing. Mitch was the first one home and I wished we had a camera nearby to capture the look on his face. Classic. Sunny’s reaction a bit later was equally good. Actually, we had a similar reaction time after time as everyone arrived, we kind of felt like celebrities! I think deep down many thought there was a chance we would come, but hopefully we did a pretty good job of hiding the secret. Pool games — made it through! It was a great weekend of catching up and spending time with great friends. And as usual, Mitch and Sunny were the perfect hosts! So happy we were able to make the trip. We left on Monday, sad to say goodbye, and headed back over to Seattle. Spent the afternoon and evening with my mom & brother, complete with dinner at our favorite little Mexican restaurant, Tapatio, in Newcastle. We were up and off to the airport at 6:30am on Tuesday morning back to Philly, then the drive up to Syracuse. Our heads hit the pillow about 11pm that night. A whirlwind trip, but so worth it! 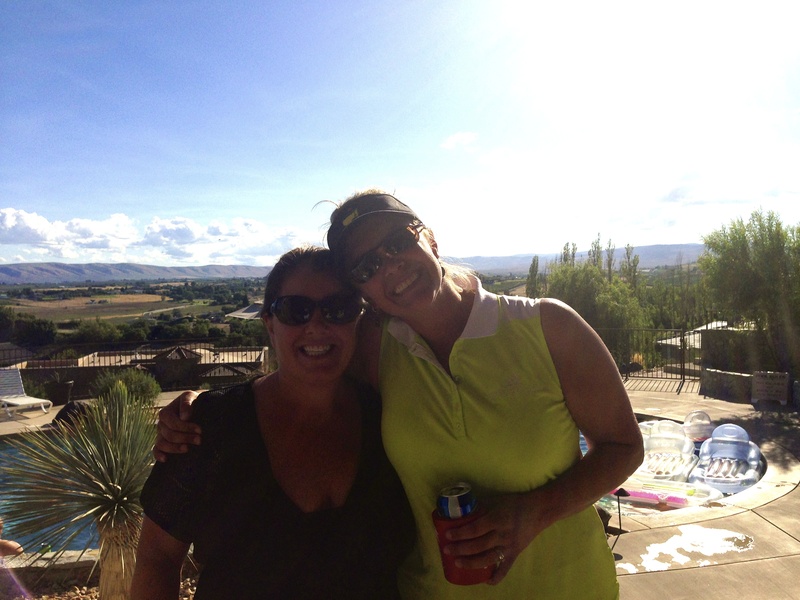 This entry was posted in July 2014 and tagged Camp Cameron, Friends, Pool Party, Yakima on August 2, 2014 by Traci. The Newfound RV Park in Bridgewater, New Hampshire was our destination for the next four nights. We didn’t know much about NH, so opted for a fairly central location in the Lakes Region of the state, which is just about in the center. 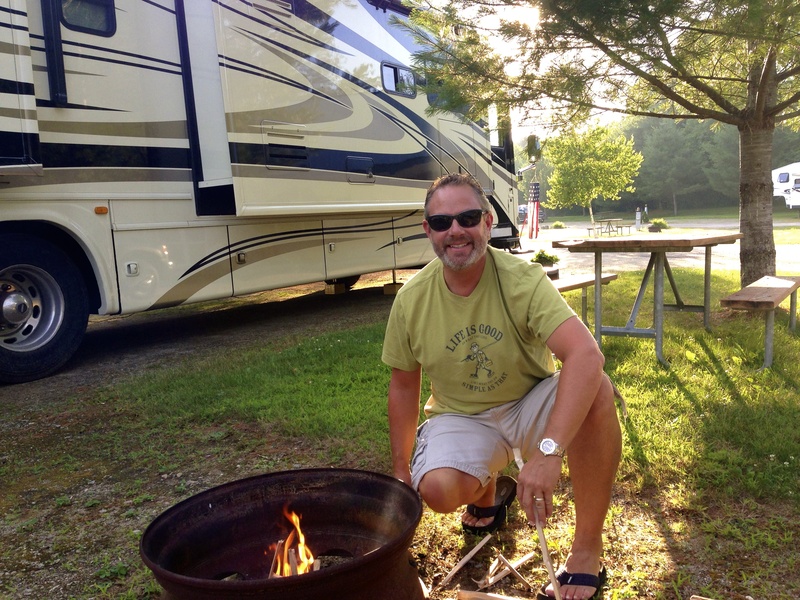 Our RV park was owned by a great couple that couldn’t have been any nicer, Paul checked on us daily. It was a fairly small park, but had everything we needed. After a long drive to get there, we decided to just have a relaxing evening by the campfire. We weren’t quite sure what to do for the next day, so we headed out to explore with our maps. 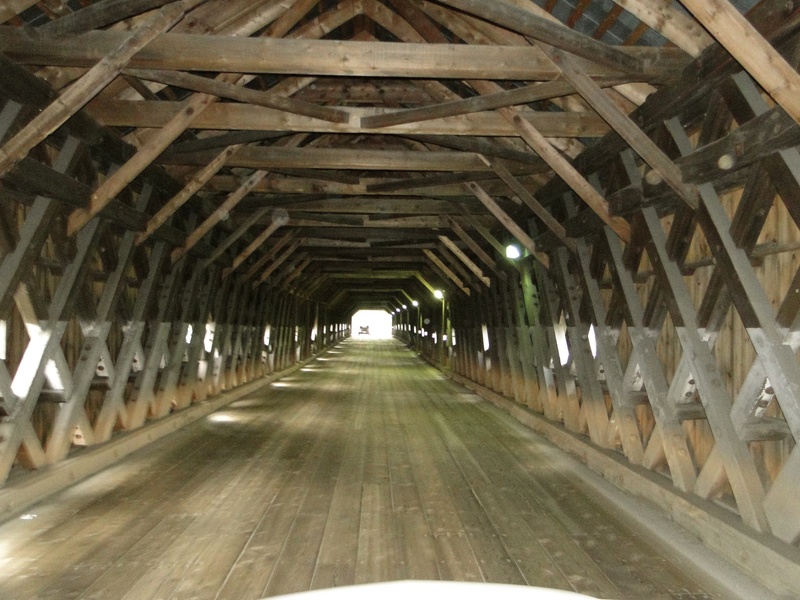 We had read about the covered bridges of the area. 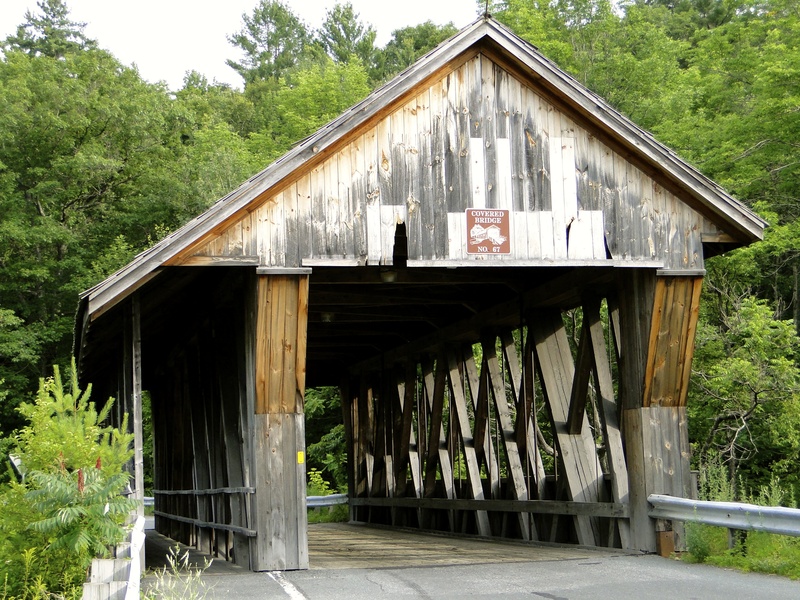 At one time there were over 10,000 covered bridges in the United States, and today 54 of the remaining 750 are located in New Hampshire. It was like a treasure hunt for us to find them on the map and gave us a chance to really see the area. It was very rural and foresty with lots of lakes and rivers. Each bridge is numbered and typically had a plaque out front giving the history. Most dating back to the 1800’s and unique in their own way, some have been restored and are still in use while others are out of commission. I think we found about 8 of them. This one is still used but with only one lane. Notice the sign/number at the top, No. 67. 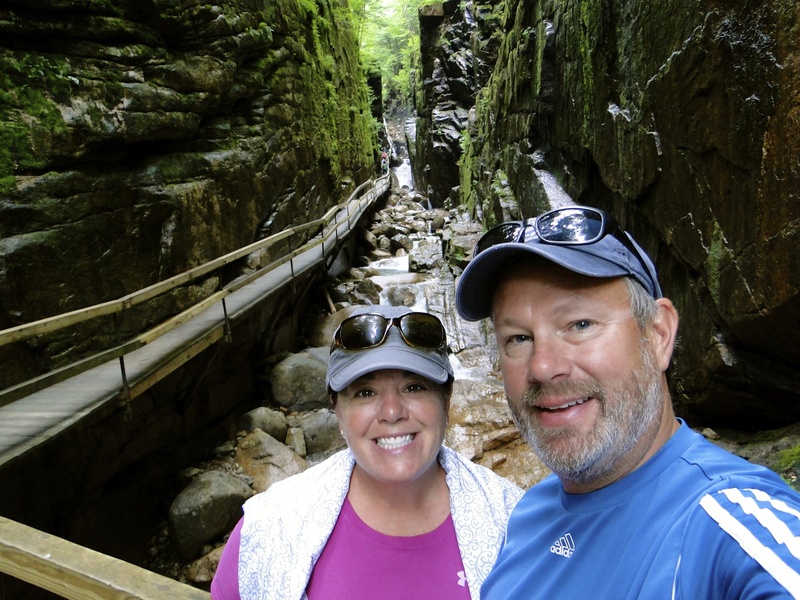 Another day we headed north to the White Mountains and Franconia Notch State Park and Flume Gorge. This area is big for skiing in the winter. We hiked up the flume and waterfall area, then around the backside for amazing views of the deep pools. NH is known as the granite state and this was very evident in this area. We saw huge granite boulders and sheer cliffs. I think I saw our old countertops! 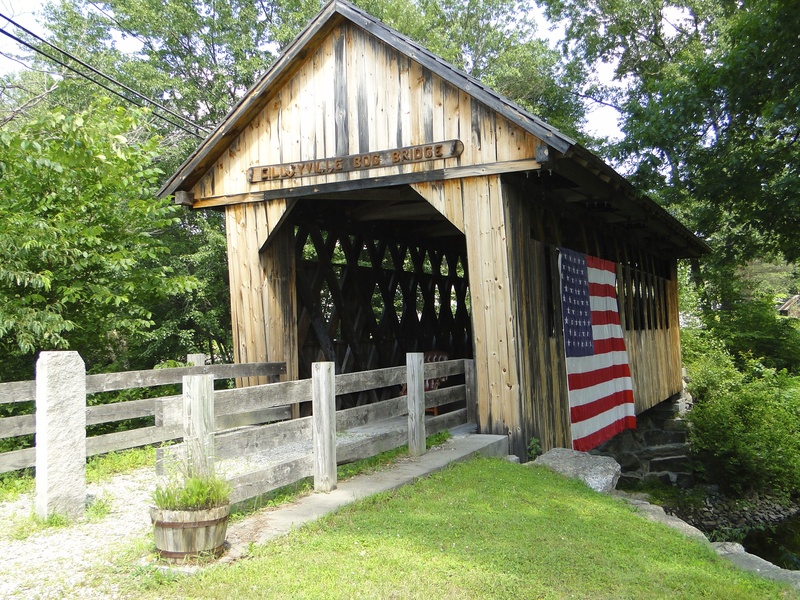 We also saw 2 more covered bridges. The rain started right as we got back to the car, perfect timing. Headed back to the MoHo for tacos and some itinerary planning. So nice to have a good wifi! On our last day, it rained in the morning, so we got some to-do’s done around the MoHo. In fact, we didn’t unlock the door and step outside to leave until almost 1pm. Decided to head up north to Weirs Beach on the shores of the largest lake in the state, Lake Winnipesaukee. Walked down the boardwalk and stopped in at a little bar with a deck overlooking the lake, then at one of the many candy stores to get swedish fish. Drove through a few other lake towns, but nothing really inviting to stop at. A pretty sleepy area. We came to the conclusion that since their season is so short, they don’t really invest in a lot of infrastructure for summertime visitors. Seems like a lot of cabins for locals. Overall this stop was a pretty relaxing one and not a lot of must-sees, so we were able to just explore organically. Things seemed pretty spread out so we did do a lot of driving in the car, but I feel like we saw some cool places and got a feel for the area. We opted not to head south to the bigger cities of Concord and Manchester, rather focusing on the Lakes and White Mountain regions. We can’t do it all, so when unsure of an area, we have to just commit to a place and make the most of it rather than second guess ourselves. Thursday, we were on the road to Vermont. We encountered some pretty bad roads, so were a bit spent by the time we arrived at the Lone Pines Campground just NE of Burlington. What a complete opposite experience we had from our last place. The spot they had us in was not ideal, so we asked to move, which usually is not a problem. This is one of the worst customer service displays we have encountered yet. They just didn’t care. Needless to say we didn’t get to move. The park was crowded with a lot of families with young screaming kids. We were very close to the Quebec border, so the majority seemed to be French speaking and not as considerate as we have experienced (sorry for the stereotype, just calling it as we saw it!). There was a Costco nearby which we haven’t seen for awhile, so loaded up on supplies and enjoyed a nice BBQ dinner and red wine to drown out our surroundings. The next morning, we headed into Burlington to Starbucks, as we needed to use their free wifi since it was not provided at our park. After getting our business out of the way, we walked up and down Church Street, which is a pedestrian mall stretching about 5 blocks. It was very busy and many street performers including a string quartet of young kids. We had lunch at a great spot outside taking it all in. 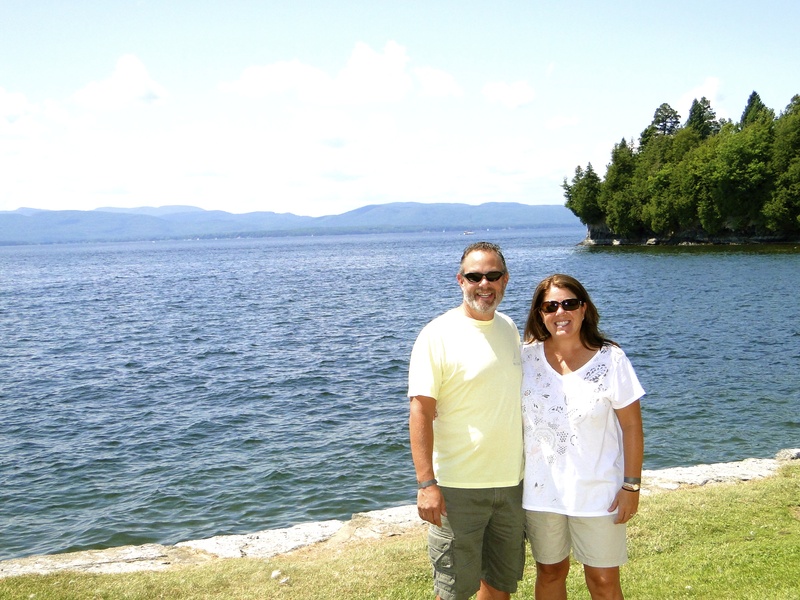 Then, we went down to the waterfront (Lake Champlain) and walked around. The big VT Brewfest was taking place, but was sold out, and tickets were not cheap through scalpers and brokers. We read that it sold out in 11 minutes! VT is a huge beer making state just behind OR and CO, so we were sorry to miss it. But we still managed to sample some local brews at restaurants. 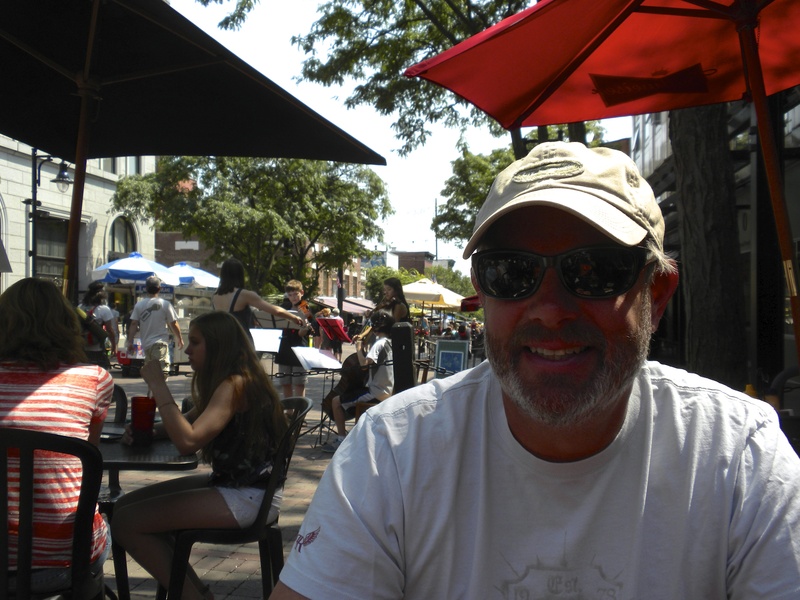 Burlington was a great town and a must visit in Vermont. The next morning, we got rolling at a decent time and headed north toward the Champlain Islands, a grouping of islands flanked by Lake Champlain on either side with NY to the west and Quebec, Canada to the north. At Grand Isle we stopped at a nice farmer’s market and loaded up on some fresh veggies for din-din. Kept driving and reached the top pretty quickly then did a detour drive around Isla La Motte, the most secluded of the islands. Not a lot going on; mostly private homes/cabins and not a lot of public access to the water. 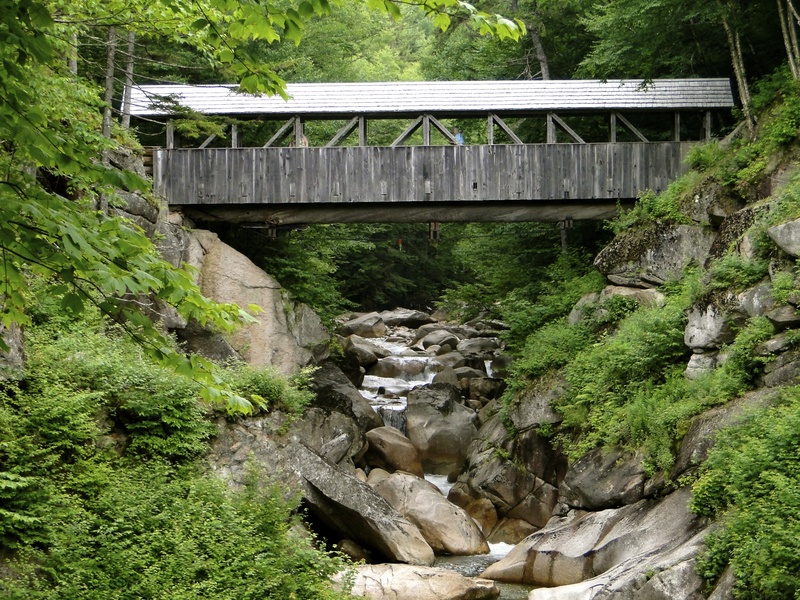 Then, we decided to do another scenic drive between Jefferson and Stowe along Smugglers Notch. This drive went straight up the mountain with very narrow windy roads, then straight down, sometimes only room for one vehicle to pass. There were tons of cars parked along the side, so we figured some good hiking trails, but we weren’t prepared for a hike. We never saw the road to take us to the viewpoint we were hoping for, then all of a sudden we were down in Stowe. A bit disappointing to say the least. It was a beautiful area, surrounded by mountains and trees, but we were hoping to get out to take some pics. Stowe was a neat ski village town with a cute main street area, but there was a boy’s lacrosse tourney in town, so it was packed. We stopped at the Ben & Jerry’s headquarters in Waterbury, but the lines were huge, so we decided not to wait. Plus we were there on a weekend, so they were not actively producing the ice cream. The tour would have been a video rather than real action. We headed back to the MoHo for dinner and a campfire. We were excited for our last day in VT! We had discovered another cool festival was happening while we were here. 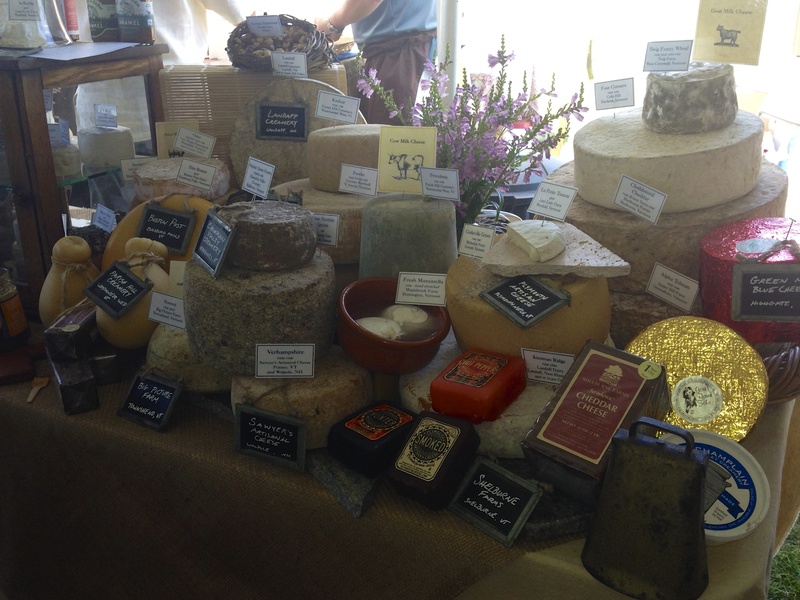 The Vermont Cheese Festival! Since we couldn’t do the beer fest, the cheese fest was right up our alley! It was a bit pricey at $50 each, but we thought why not since we were here and we definitely wanted to sample some VT cheese! 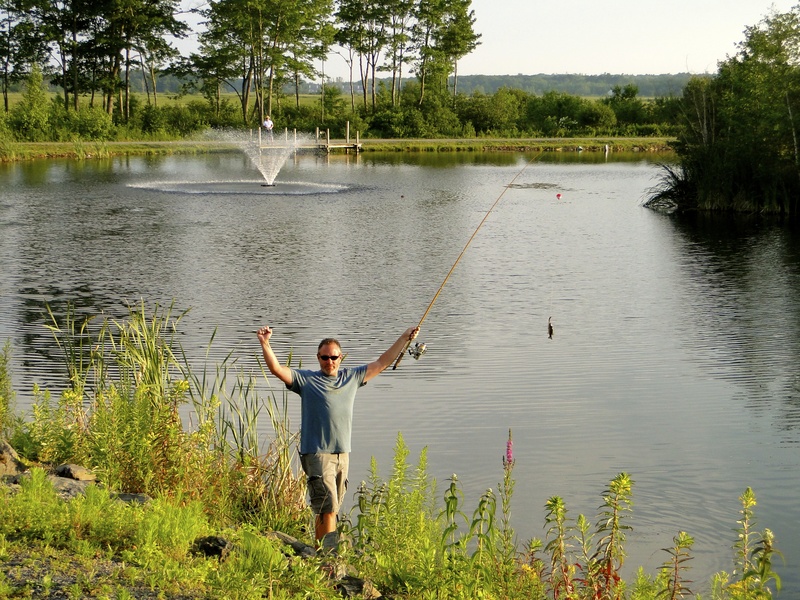 It took place at Shelburne Farms, a huge 1,400-acre complex right on Lake Champlain, a great setting. Got a free bag, wine glass, then the sampling began. It was a great mix of cheese, wine, ciders, spirits, chocolates and other local food samples, including a lot of maple flavored items. It got pretty crowded but with some patience we were able to get to all the booths we wanted. We did a good job of loading up our bags with various items and felt like it was a great event and very glad we came. A definite highlight to sample some local specialties, especially cheese! We headed back to the MoHo to watch the final round of the British Open. We had no satellite, but were able to pick up a few channels from our antenna, so were able to watch (live TV is brutal!). We got packed up, as we would be up and out early the next morning for our long drive to Syracuse, NY. I think I enjoyed the area of VT better than NH, but we obviously liked the campground in NH better. Sad that our time in New England has come to an end. Time is flying by! 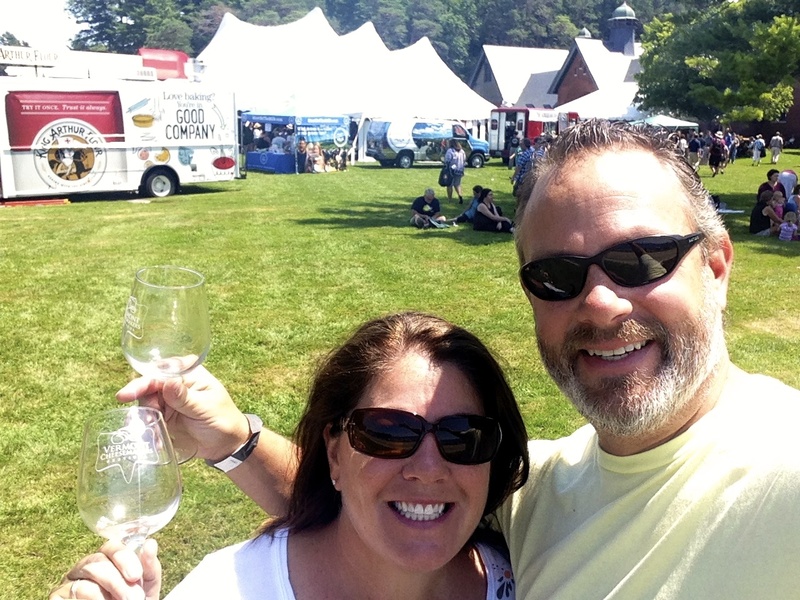 This entry was posted in July 2014 and tagged Burlington, cheese tasting, Church Street, covered bridges, Flume Gorge, Lake Champlain, New Hampshire, Smugglers Notch, Vermont, VT brewfest, VT cheesefest on July 22, 2014 by Traci. Our arrival in Maine completed our four corners of the US and our furthest east point! And a bonus is that we got to experience it with our good friend, Bill Greaver. Our first stop was in Portland, actually Scarborough a bit south of Portland, and Bayley’s Campground. This was one of the most “resorty” parks we have stayed at yet, filled with amenities and nightly activities. We got settled and the first order of business was lunch. We ended up at Ken’s, a local joint serving fresh seafood since 1929, which Mike & Billy loved (I had a burger). Back at the campground we headed over to the adult-only pool for happy hour and enjoyed the fun atmosphere with live music. We watched the Mariners back at the MoHo and had a relaxing evening just hanging out. The next day we headed out for some sightseeing. 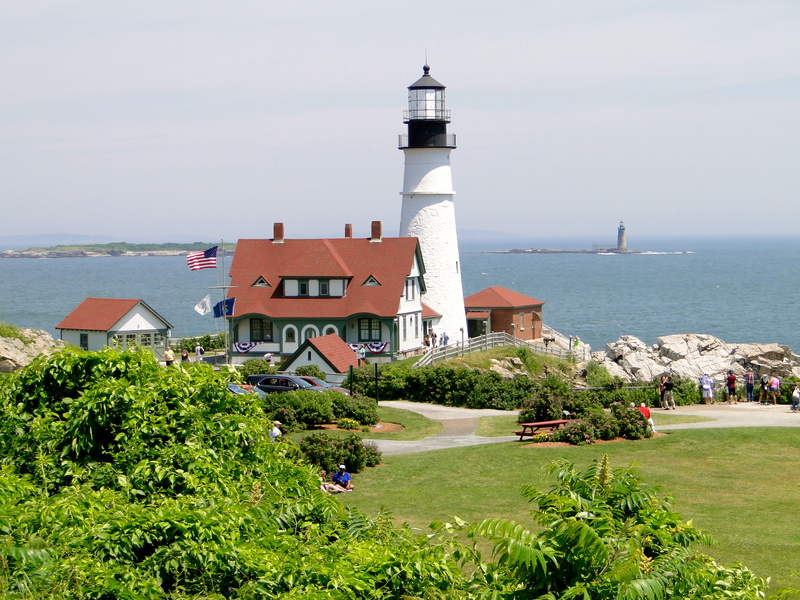 We drove up the coast to Cape Elizabeth and the lighthouses, a recommendation from someone we met in Florida. First one we stopped at was Two Lights, located at a dead end road next to the Lobster Shack restaurant. What a view! Further up the coast was Fort Williams and Head Light Lighthouse. The lighthouse was commissioned by George Washington in the late 1700’s and is said to be one of the most photographed lighthouses in the world. The fort was huge and very well maintained – all by volunteers! It was an old military fort and served as a lookout in both WWI and WWII for the American soldiers, designated as the closest port to Europe. We walked around the grounds, then continued further up the coast to South Portland and the Bug Light House (not to be confused with Bud Light). A great viewpoint across to Portland and what I’m sure would be a prime place to watch the fireworks! Finally, we made our way into downtown Portland, parked and walked down the cobblestone streets to Commercial St, which paralleled the waterfront. A bit touristy, but not too crowded. We ended up at the Portland Lobster Company for lunch and Mike finally got his first Maine lobster! It was a cool spot overlooking the harbor. 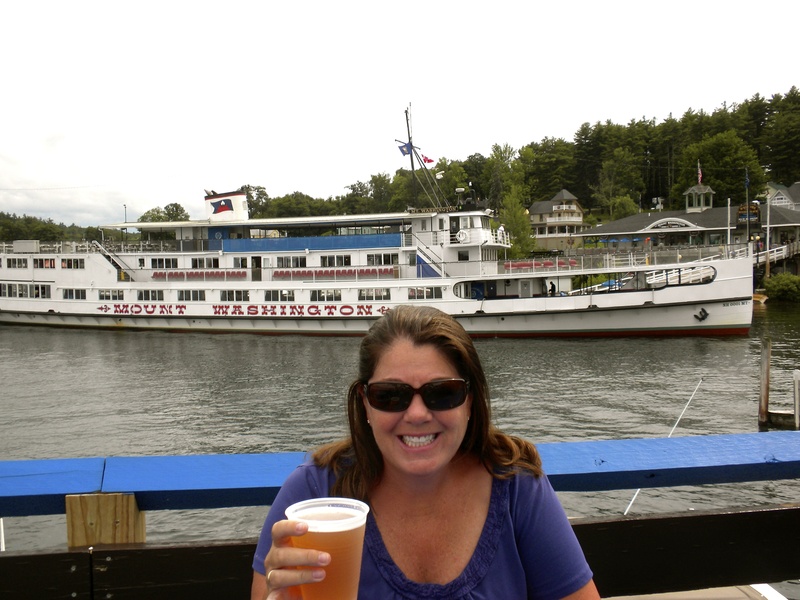 We decided to find some of the local breweries, Rising Tide and Sebago, as this town is known for them! Headed back to the MoHo, Billy & I sat outside while Mike fished until the mosquitos got the best of us. Wingfest for dinner and a movie, then the thunder and lightning showed up. Portland was a great stop and we really enjoyed Bayley’s Campground. Wished we had more time here. Got packed up and on the road by 10am. Mike and I were in our groove and it was fun for Bill to see our procedure and routine. We were headed north for Bar Harbor and decided to take the scenic coast route which was a bit longer, but pretty views over bridges and through little towns. Roads were a bit bumpy at times, but overall worth the extra time for the scenery. Arrived at Narrows Too Campground located in Trenton, just across the bridge from Mt. 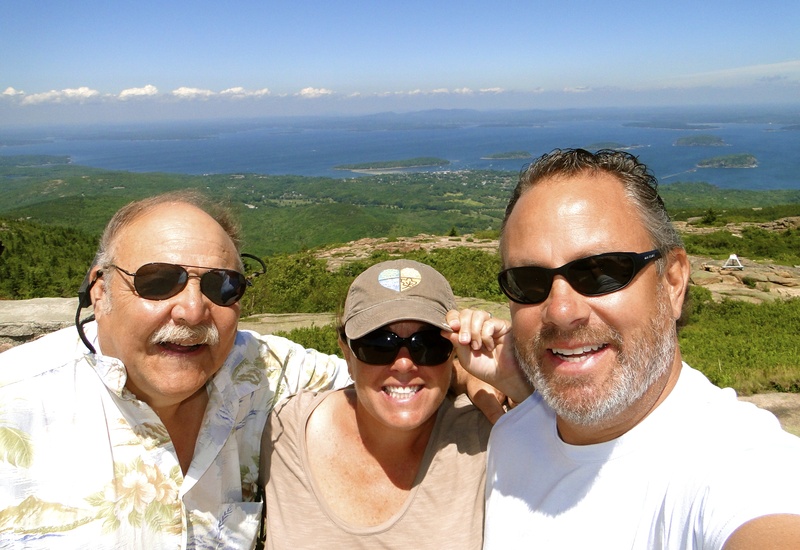 Desert Island and Bar Harbor (Bah Hah Bah). Actually turned out to be a perfectly located home base for us. We got set up in the humidity (still not used to it), then headed out to explore. First stop was Atlantic Brewing for beer tasting. Blueberries are big around here, so they featured a Blueberry Ale. I didn’t think I would like it, but it was delicious, my new favorite which I drank exclusively while we were there! 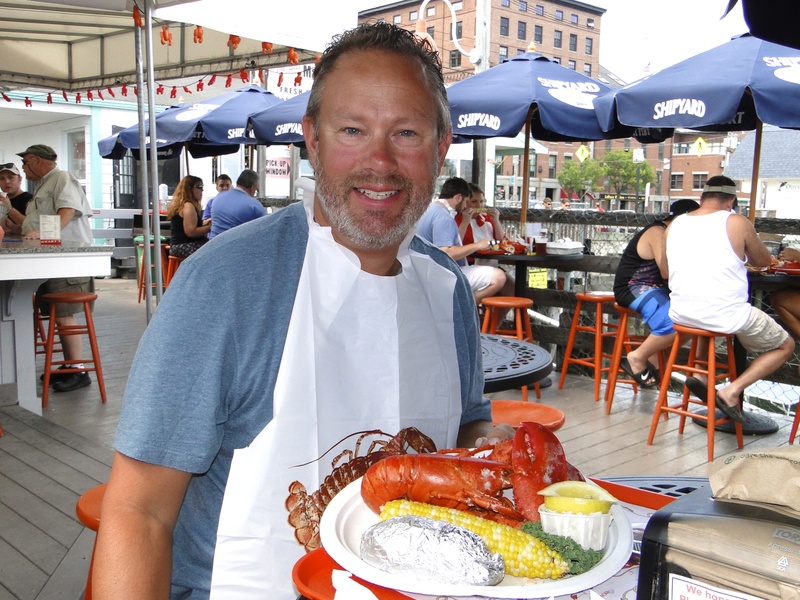 We then headed to THE lobster joint that was recommended by 2 people – Trenton Bridge Lobster Pound. Basically you go over to the live tanks and pick out what you want and they charge per pound. Either take to go, have them cook to go, or eat there. Mike & Billy proceeded to pick out 4 lobsters, about 2 lbs each, $92 worth. Compared to a sit down restaurant, these lobster pounds are the cheapest way to have fresh lobster. I had a beer and watched them eat about ½ of the first, had a few bites and took pics. I ended up driving back to the MoHo (only 1 mile away) and awaited their pick up call. I would have been sitting there another hour and the mosquitos were out, so I was more than happy to head back. 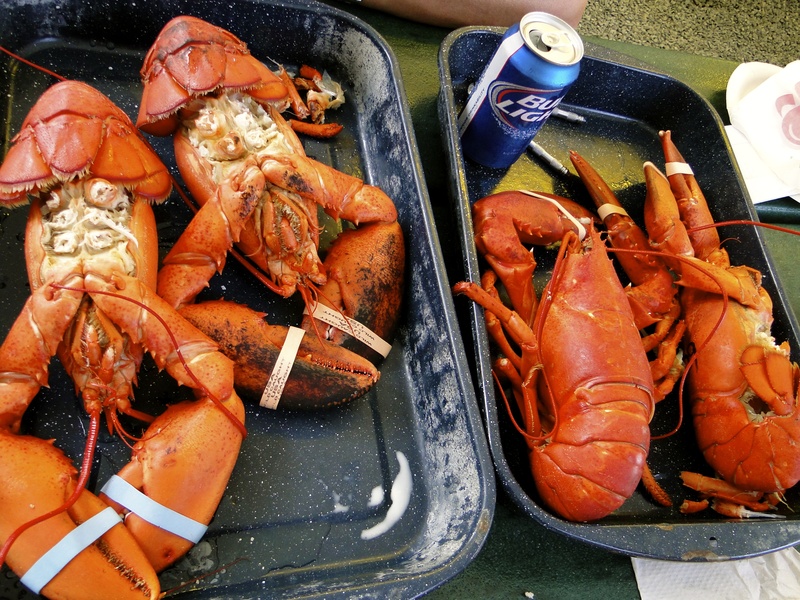 They were both happy campers and will never forget this lobster feast they shared! 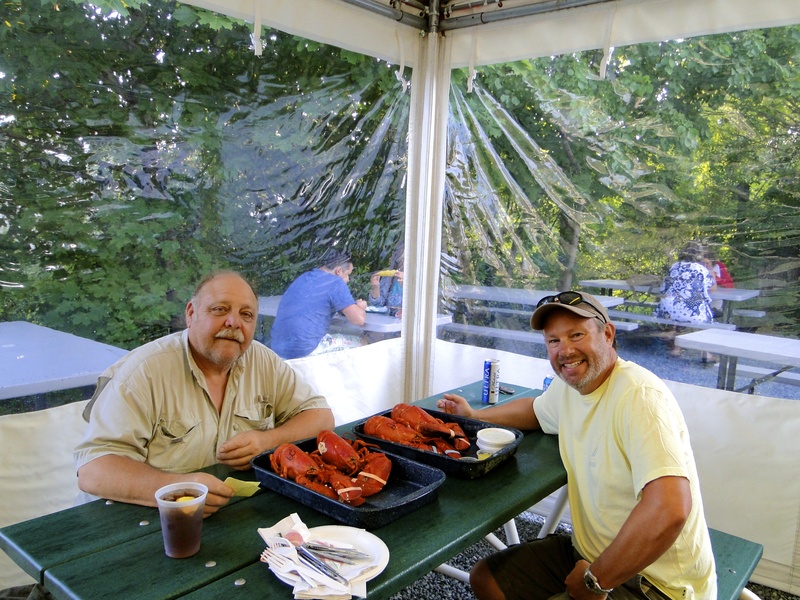 Billy & Mike getting ready for their lobster feed! The next morning, we got rolling after Egg McMiller’s and headed out to Acadia National Park. We bought a new yearly pass (ours expired end of May) then got on the 27-mile park loop road. Very scenic outlooks along the way, a mix between green tall trees, rocky cliffs and gorgeous lake/ocean views. Maine is actually a very hilly state, which we haven’t seen in awhile. Stopped at Thundering Hole which is an iconic place where the water can splash 40 ft in the air, but the tide was out so not much action. We took a detour out of the park at the south end to Northeast Harbor and nothing really much to see. Definitely the ‘quiet’ side of the island! This is close to Martha Stewarts home on Seal Harbor, but no sightings. Made our way north and headed up to Cadillac Mountain, the highest point on the east coast at 1,530 ft. We wound our way up the hillside and found a parking place then walked the loop out to the viewpoints. Amazing 360 views all around, but very windy! We had our lunch in the car overlooking Bar Harbor, then made our way back to town. Parked and walked down the main street which was so familiar to me as Mom & I had been here on a cruise a few years ago. I loved the town then and was excited to return with Mike. We stopped in at Testa’s for a beer then to Bar Harbor Brewery for tastings. To our surprise, it is affiliated with Atlantic Brewery, so we had the same guy giving us our tastings as we did the day before. We went to another highly recommended spot, Mainley Meats, for dinner with ribs, wings and pulled pork on the menu. Worth the stop for sure. Headed back to the MoHo to watch ‘We are the Millers.’ Hilarious by the way and oh so fitting! Got Billy packed up and we got on the road to Bangor. 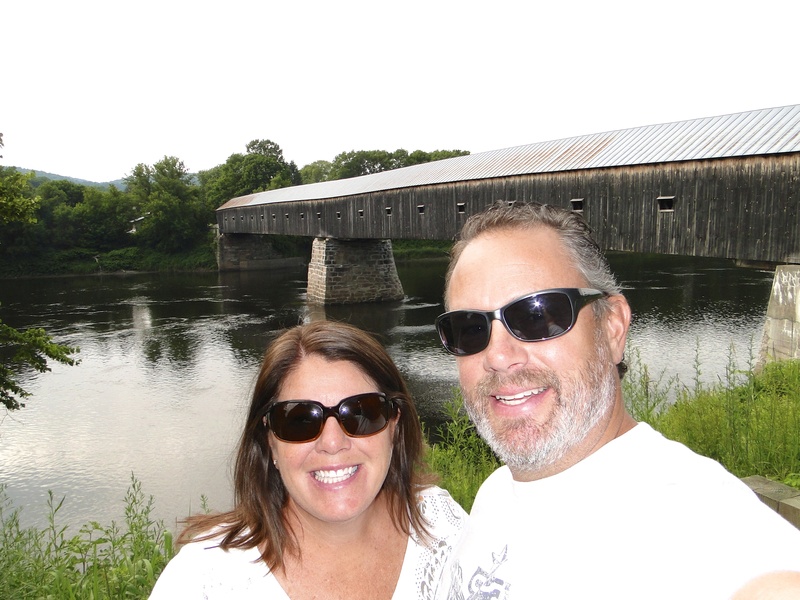 We took the scenic route and ended up stopping at a bridge in Bucksport that we had crossed on the way into town. 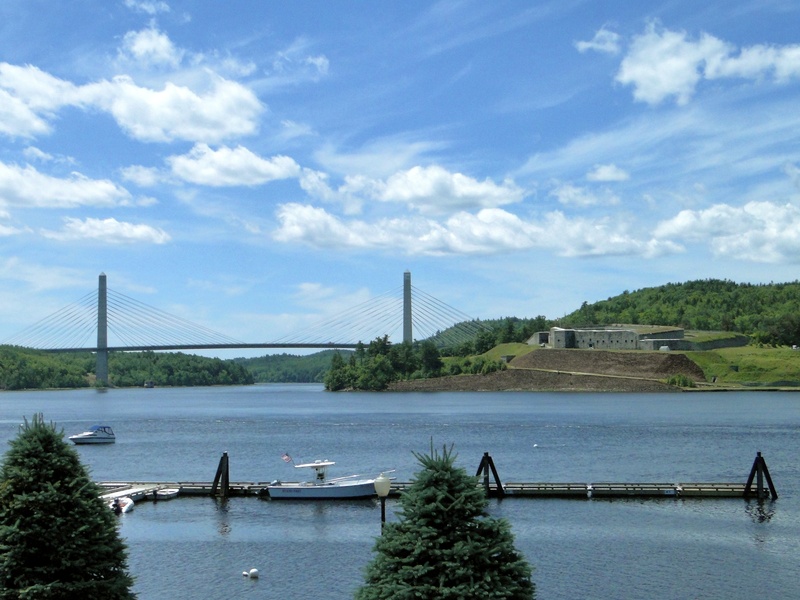 The Penobscot Bridge and Observatory is a cable-stay bridge with only one of four bridge observatories in the world. 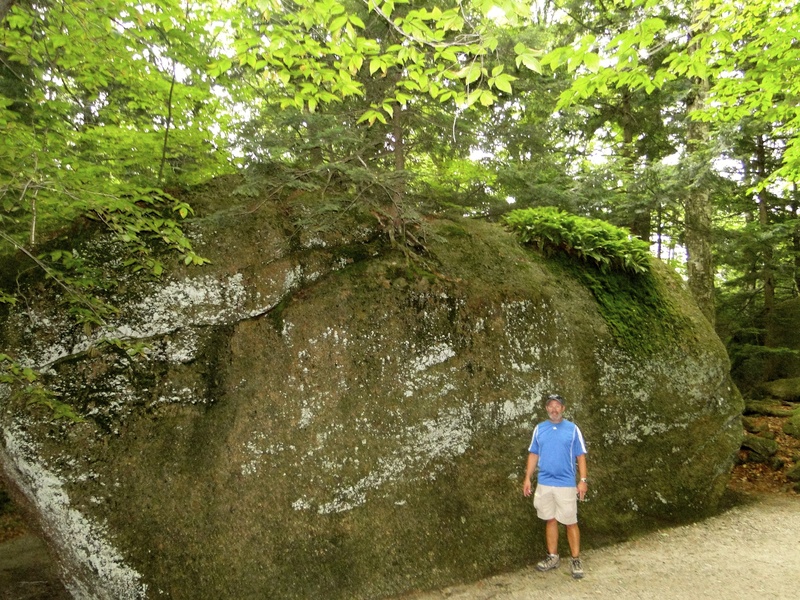 Next to the bridge, was massive Fort Knox, the first and largest granite fort built in Maine. 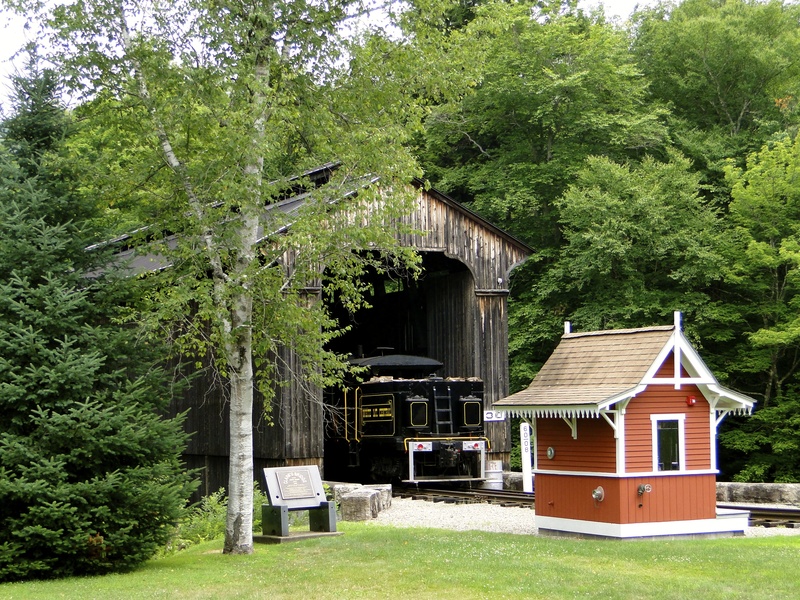 It was built in 1844 to protect the riverway leading to Bangor. 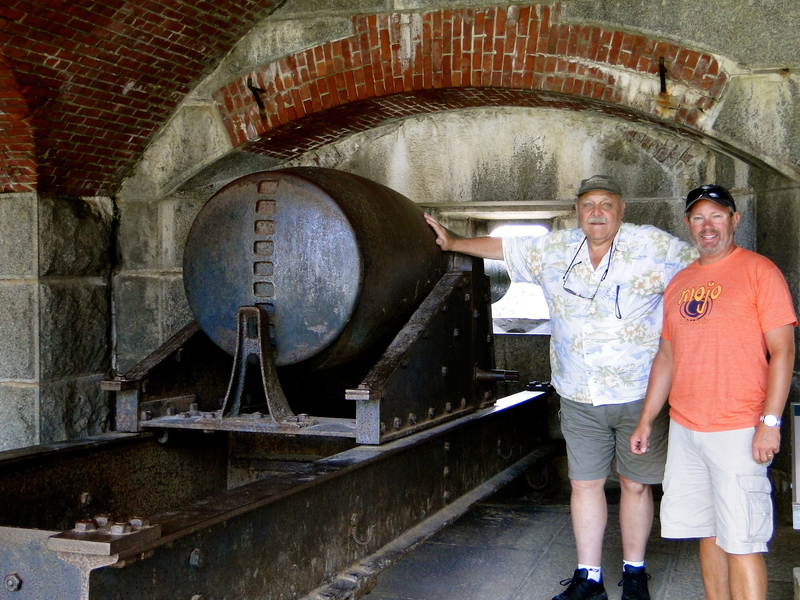 We walked through the underground bunkers, batteries and saw a real cannon. This was an unexpected stop, but one we all enjoyed. Made our way into Bangor and the Sea Dog Brewery for lunch (are you sensing a theme?) and sat outside on the deck overlooking the river. The town was setting up for an outdoor concert, Lynyrd Skynyrd and Bad Company. How cool! We made our way to Bill’s hotel and got him all checked in. He was heading back down to Boston for a few days in the morning via bus before flying home to Seattle. We said our goodbyes, kind of sad, then made our way back to Bar Harbor. Got back to the MoHo, did laundry and had a relaxing night. So much fun to have Billy come visit us. I think he enjoyed living our lifestyle for a week and seeing the whole process of what we go through making our way from park to park. We so appreciated him making the effort to plan a trip to see us! Had a glorious morning sleeping in, then I took the car into Ellsworth for a LONG overdue haircut and color, washed and vacuumed the car and did a bit of shopping at the LL Bean Outlet. Nice to have some independent time! Mike did some chores around the MoHo, then we drove into Bar Harbor for the afternoon. We walked around town just taking in the scene and shopped a bit. Town was pretty hopping due to Holland America’s ms Veendam being in port, but even after she sailed away, still a lot of people in town. 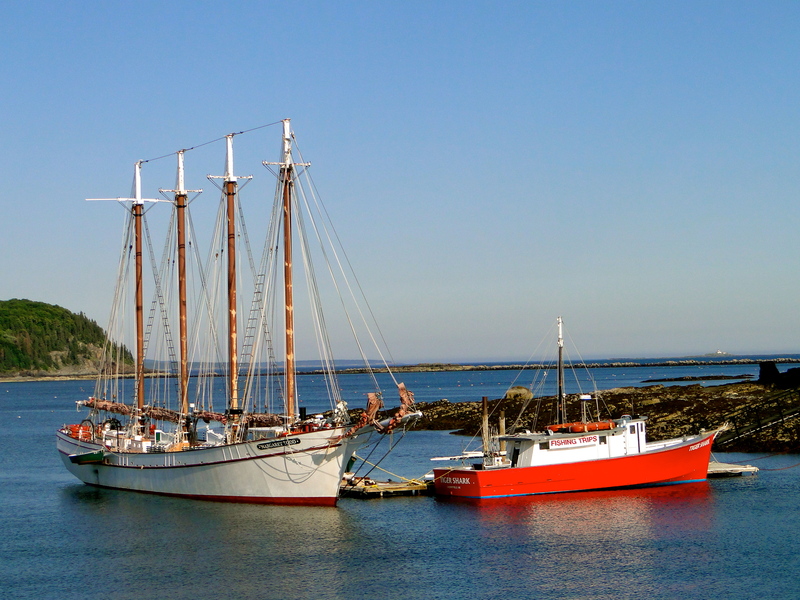 Bar Harbor is a very cute, resorty town, so I’m sure a popular place for locals to vacation. We headed back to the MoHo and walked down to the beach as the tide was out, then back to BBQ for dinner. A great day! Our last day in Maine. We had a lazy morning and did some cleaning and packing up since we would be getting on the road early the next morning. Headed into town around 3:30 to Geddy’s for an early dinner and to watch the Brazil/Netherlands World Cup game. The food was tasty and they had a fun atmosphere and we thoroughly enjoyed the Netherlands victory! We walked around town a bit, then headed down to the Margaret Todd, a 151 ft 4-masted schooner, for our sunset cruise. They had a BYOB policy, so we brought a nice bottle of white to enjoy. It was a bit crowded and touristy, but still fun. We were under full sail power which was neat, plus it was a beautiful evening to be out on the water. 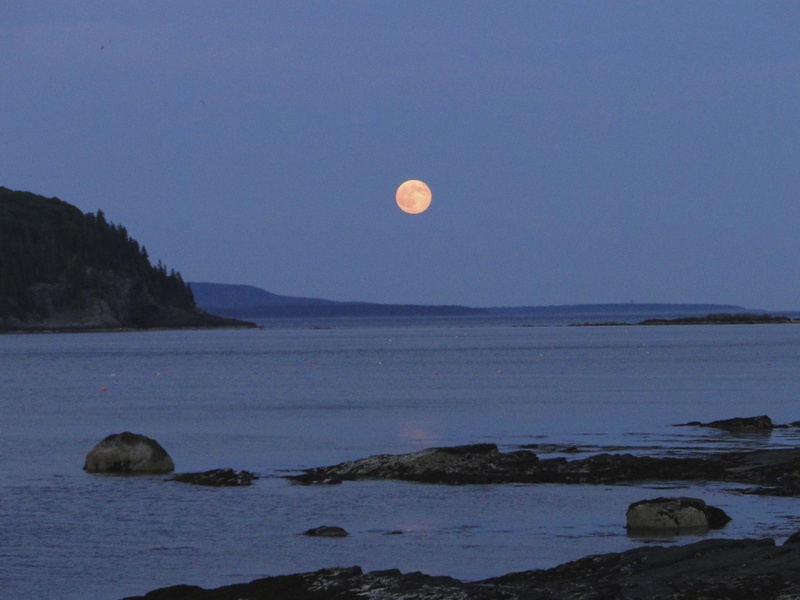 Got back to the dock as the sun was setting and to see the pink full moon rising – very cool! A perfect ending to our time in Maine. Next stop is New Hampshire! 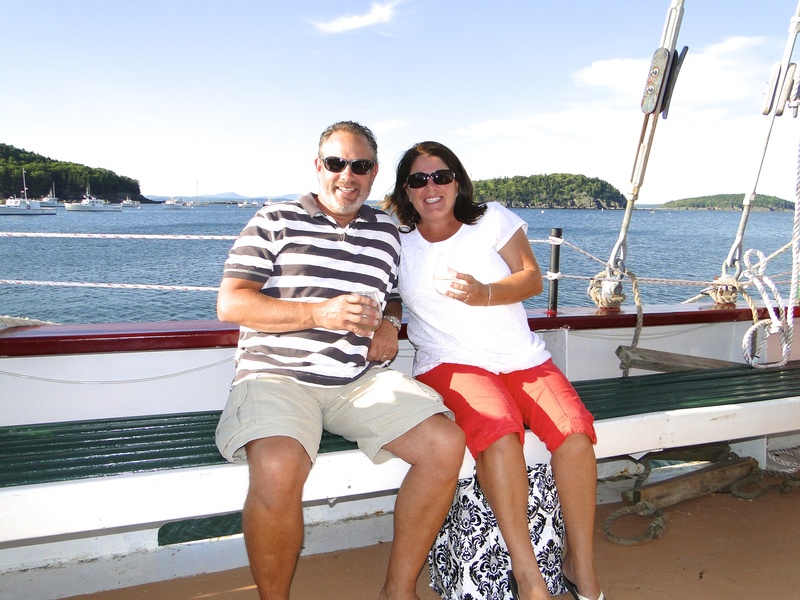 On our sunset cruise – loved the BYOB policy! 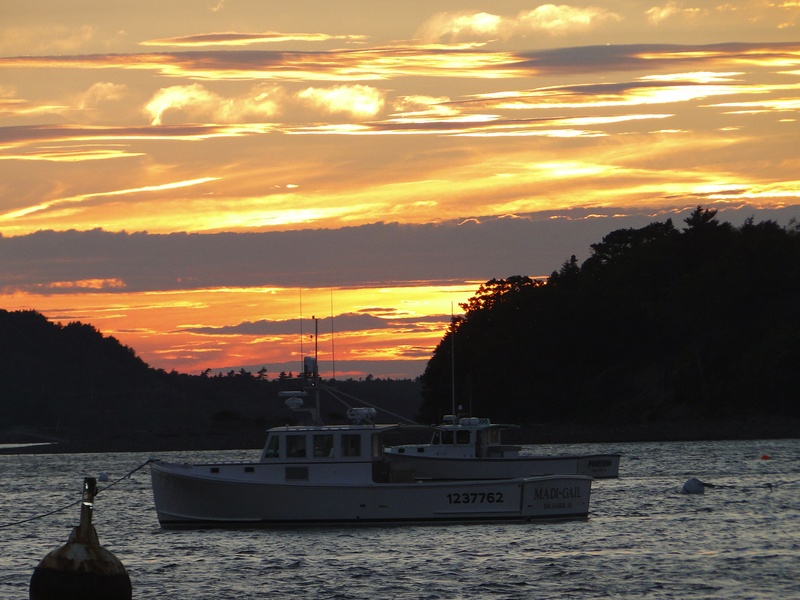 This entry was posted in July 2014 and tagged Acadian National Park, Bar Harbor, breweries, Cape Elizabeth, lighthouses, Lobster, Maine, Portland, sunset cruise on July 15, 2014 by Traci. 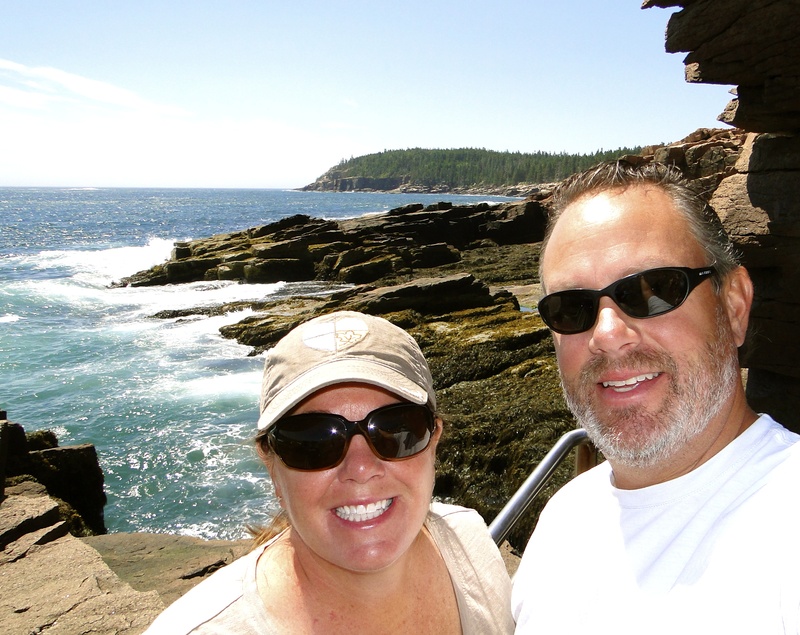 As promised, here are more pics from our Boston and Cape Ann visit. Click HERE to open photo stream, then click on any photo and scroll through with your arrows. They may take awhile to load as the images are large. 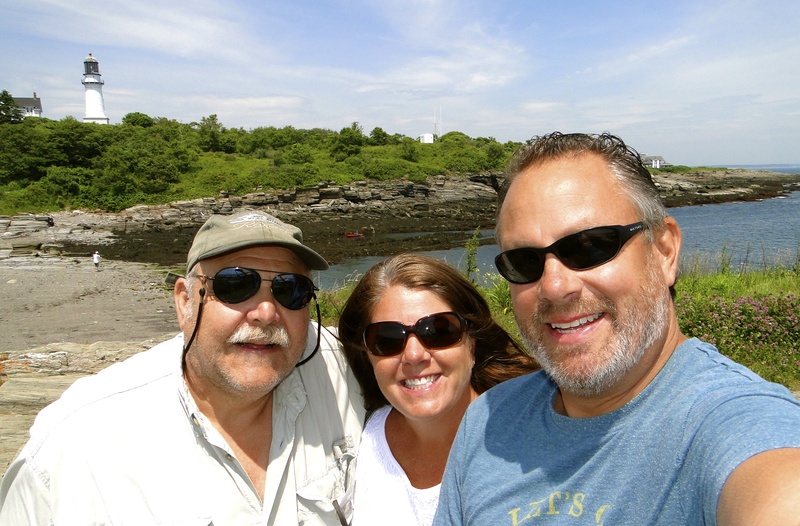 This entry was posted in July 2014 and tagged Boston, Cape Ann, photos on July 13, 2014 by Traci. 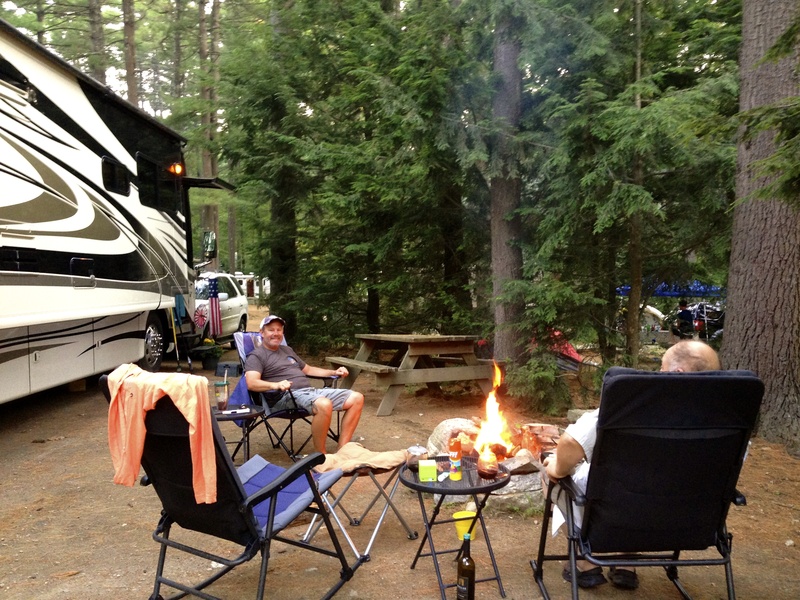 We made our way up from Cape Cod to the Boston area, specifically the Boston Minuteman Campground in Littleton, MA, about 40 miles NW of downtown Boston. 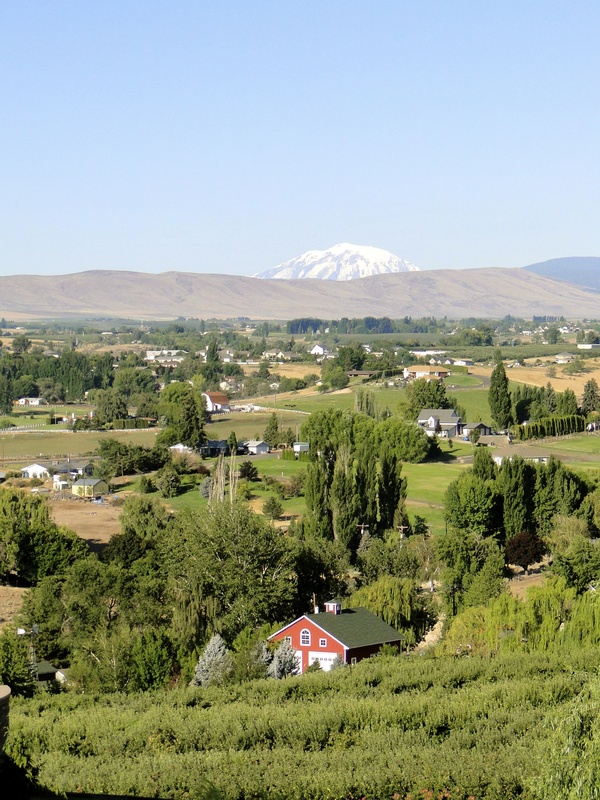 (There are no RV parks near the city of Boston – what a chance for someone to invest and open one if they could find a lot big enough within 12-15 miles of town.) The park was nice, very much more of a campground feel, lots of tall trees (blocking our satellite) and hilly with dirt and gravel roadways. They put us into the biggest site in the park, a huge corner location with lots of privacy. A very nice park, with super friendly staff, all really helpful. We stayed in that night and planned our week, knowing it was going to be a busy one. Monday we headed north to the Cape Ann area (the other Cape), about 30-40 miles north of Boston on the coast. I wanted to make sure we got to Gloucester, I had heard of it many times, and have been watching a TV show lately based out of there; Wicked Tuna. 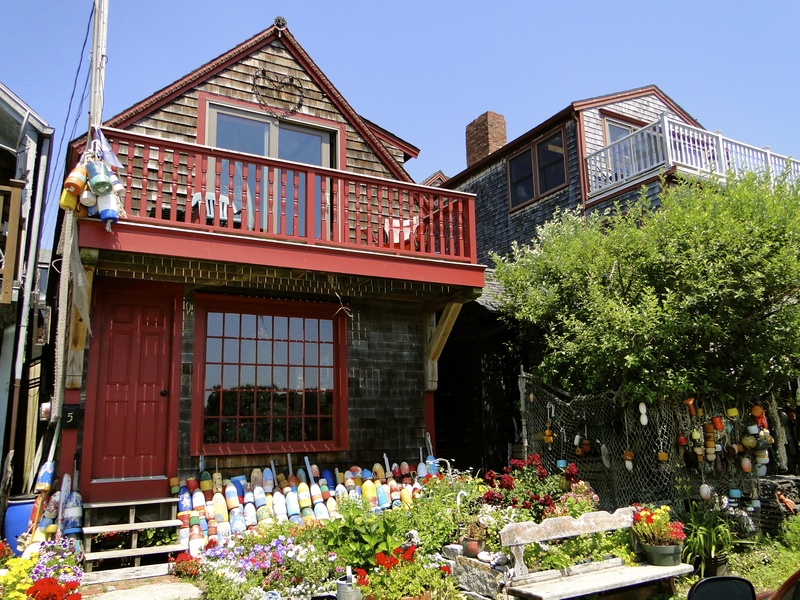 We did many of the back roads around the north side of the cape and arrived at our first stop on the journey, Rockport. This was a small town, right on the coast, and in my opinion, one of the neatest little gems we have found on our adventure so far. 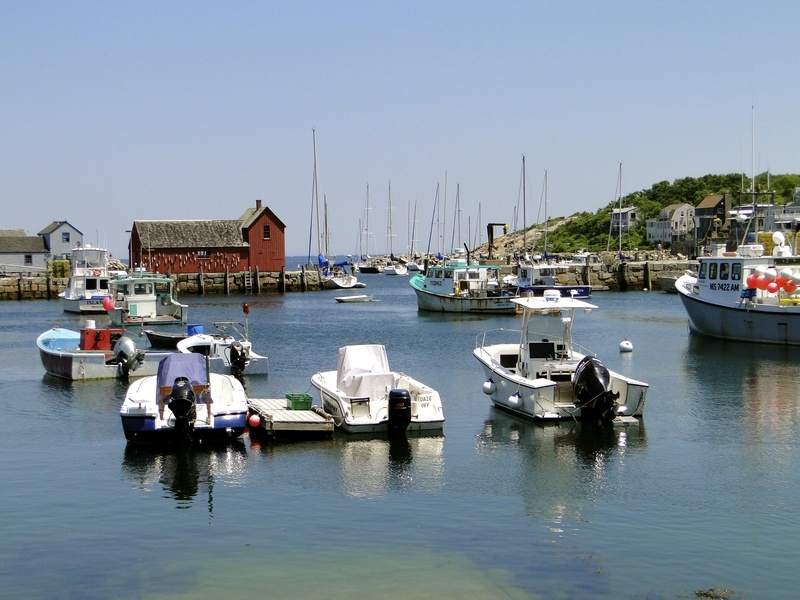 Maybe I had no expectations, but this town had a beautiful harbor, small little main street and a touristy area called Bearskin Neck with lots of shops, galleries and restaurants. The key here was the smallness, and it was not so over crowded that you could actually get a parking place and see the sites. Traci found a little jewelry store and finally was able to get her Cape Cod bracelet she has been eyeing for a few days. We had a nice lunch, and it was a great stop, not soon forgotten. Next we made our way down the coast to Gloucester. One of the oldest and deepest natural ports in the NE, it was a big little city, and lacked a lot of character because of its size. We wandered around the marina, I was looking for one of the Tuna boats from the TV show, and we actually were able to see one, the harpoon boat Lily. We grabbed a beer at a dockside restaurant and that was about it, sort of a letdown for me as I had higher expectations of this place. We then made our way further down the coast through Manchester and Salem, then back to the MoHo after a long day of driving. Tuesday it was time to head to the big city. 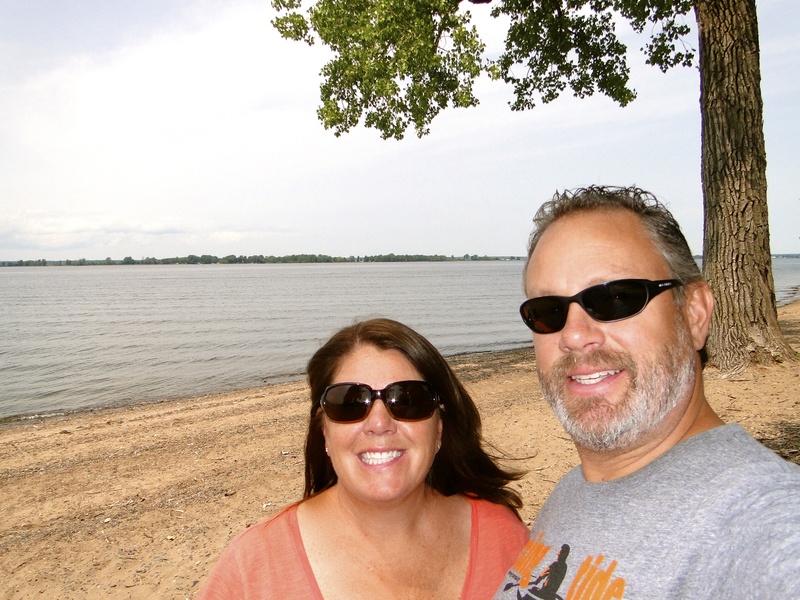 We decided to take the subway, so we headed to the nearest stop, a 50-minute drive from the RV park. Then, it took another 45 minutes to get into the city, and all of a sudden, we had spent the better part of two hours just getting into town! We started our day in Boston Commons, the main park like area in town. 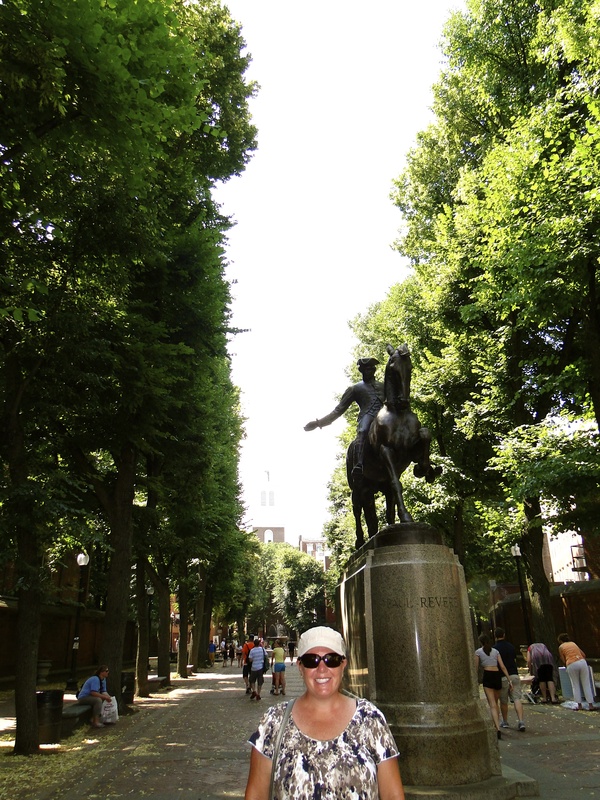 We headed out on the Freedom Trail, a route through the city showing off many of the significant historical sites along the way. It was a cooker, temps in the low 80’s and humidity in the 60’s. We found our way to Faneuil Square in the center of town that had an actual replicated bar of the TV series Cheers. There is another location in town that was the actual location, but it is not the same look as what you viewed on the TV show. We walked in and had an icy cold one, and then made it back out to the trail. We wandered through the city hall area where the town had erected a huge outdoor TV for watching the world cup games, exciting. Next we returned to the subway and made our way to the Fenway area, a baseball game was on the schedule for the night for us. But first, we found a local bar next to the stadium and bellied up to watch the US vs. Belgium. When we arrived at 3:00PM local time, the bar was very quiet, maybe 20-25 people. By the time the game started, it was a huge party and there must have been 300 people, all rooting for the USA. We all suffered through the agonizing match, and everyone left disappointed with the result, but many were still upbeat with the success of the team. I was most proud of Deandre Yedlin of the hometown Seattle Sounders and his excellent performance for the squad. 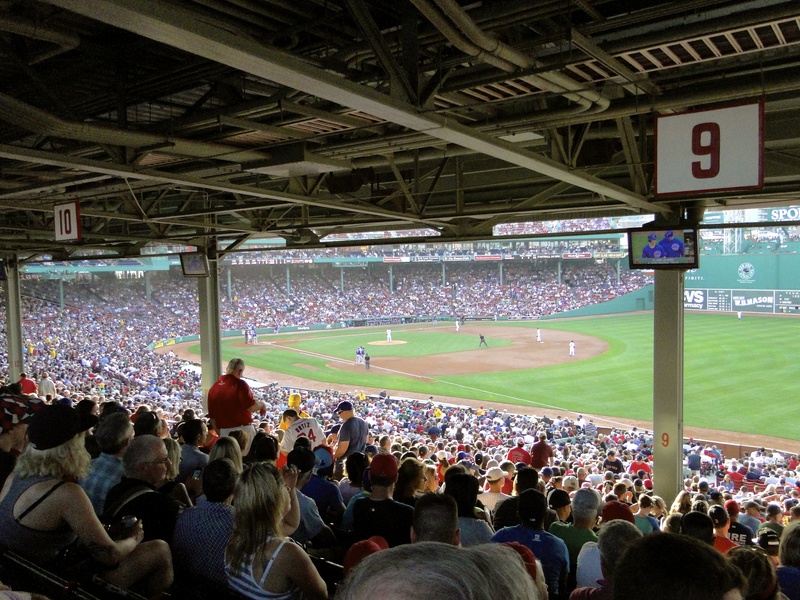 We then headed to the ballgame, the Cubs vs. Red Sox. 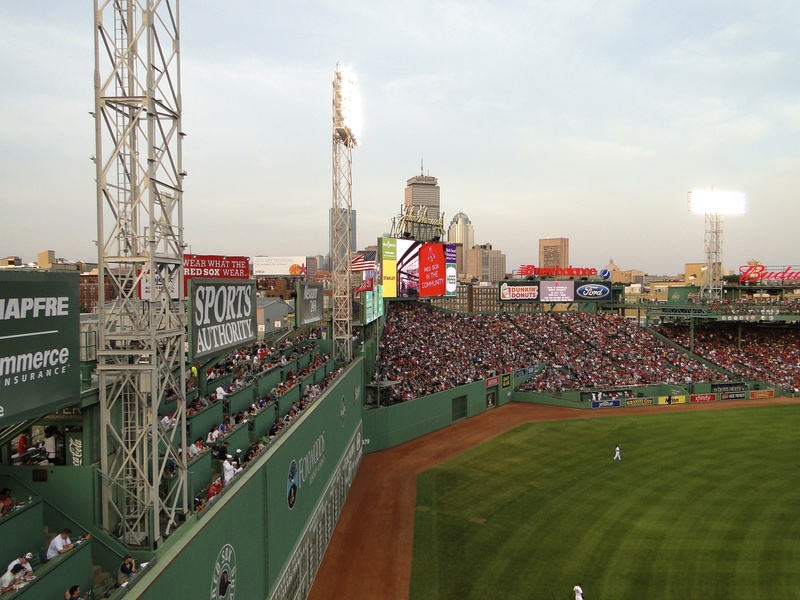 We entered the stadium and immediately there was the reason for everyone coming to Fenway Park, the Green Monster in left field. We made our way all around the park, taking lots of pictures and eventually got to our seats. The day was sweltering, and the warm beers did not help, with our poor seats, we only lasted 5-6 innings and it was time to get out ahead of the crowds as we still had at least a 90 minute trip home. Super glad we were able to see the old stadium, but I do not think I need to make a return trip, just was not one of my favorite ballparks. Wednesday we decided to make it to town via a different route, taking the commuter train this time. The station was a lot closer, but also cost $40 round trip for us to both go downtown, making our commute time only about an hour this time – worth it! 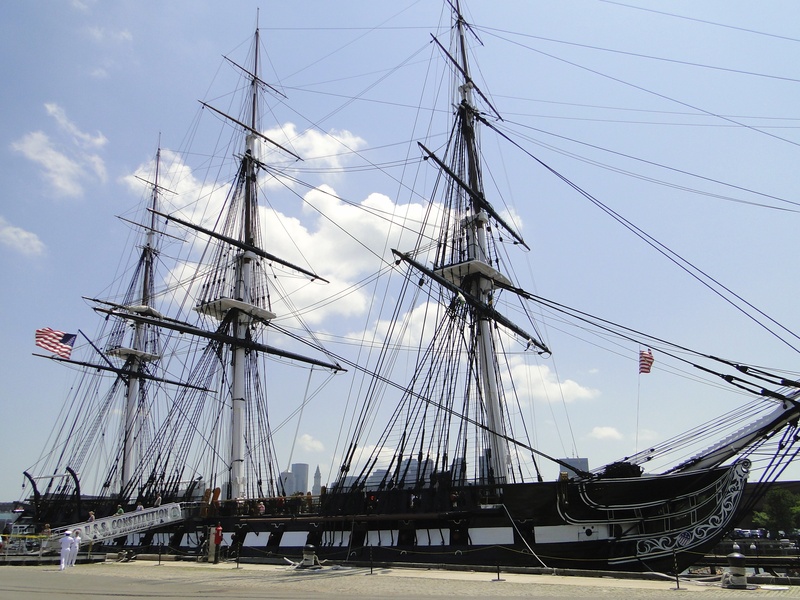 Again another very warm and humid day, we decided to walk the north side of the Freedom Trail with our main destination the USS Constitution. This mighty sailing vessel was built in the late 1700’s and is still floating, amazing testimony to the designers and builders. We were treated to a talk by a 20-year old US Navy sailor, who was very entertaining, and delivered a great account of the old grandma’s battle history and accomplishments. 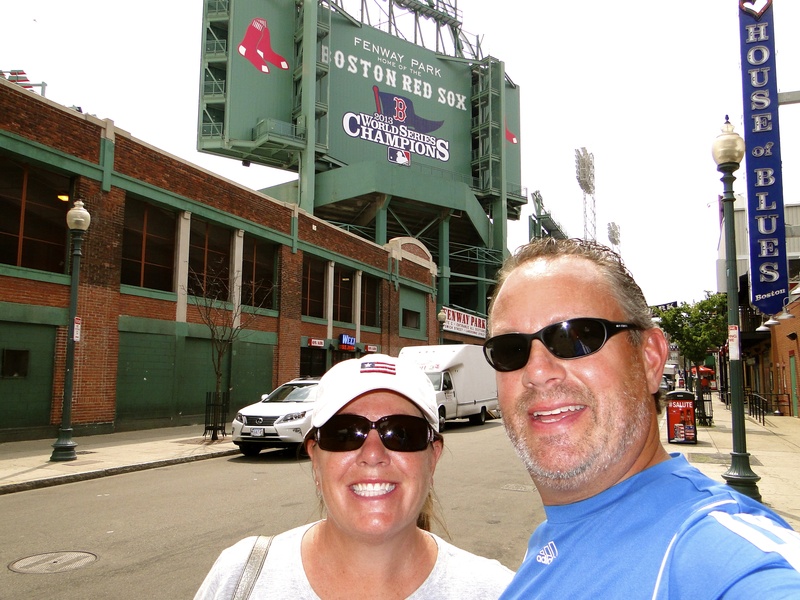 Next, we walked our way back to town, and completed the rest of the Freedom Trail before grabbing a bite to eat at a great spot in Little Italy and calling it a day. The heat was taking its toll on us and we headed home, luckily catching an express train that only made 2-3 stops instead of the normal 10-12. The weather was changing, and we wanted to get the MoHo ready for the rain. Thursday morning was a busy one. When we made our reservations at the campground a few months back, they didn’t have a site for the whole time we were there, so we knew we were going to have to move the MoHo half way through because others hard already reserved our specific site for that time. We packed everything up and drove the 80 feet to another site and got everything set up again. Looking back, I actually enjoyed the second site a lot more anyway. Next we headed back into Boston, this time driving in. We had reservations in town at a hotel to be able to stay there for the nights of the 3rd and 4th, so as to not have to commute during the 4th and late night fireworks. All was good, until hurricane Arthur decided to move up the east coast and everyone started to adjust plans. 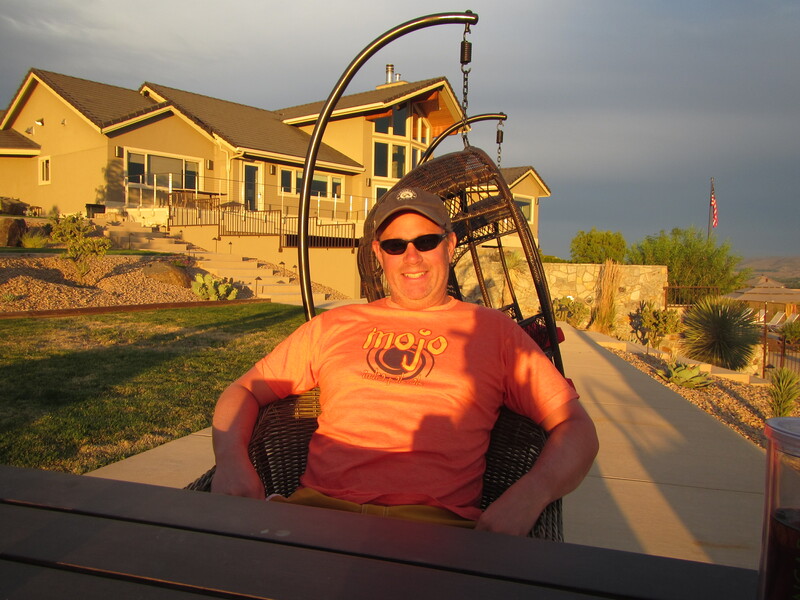 On top of it, our great friend Bill was coming to stay with us for awhile and he was enroute to meet us for the fireworks scheduled for the 4th. We got to the hotel and checked in, and it was nice to have so much space, and super high-speed internet for a change. We decided to relax, as now the fireworks show had been moved up to the 3rd in anticipation of Arthur’s arrival, and we knew it was to be a late night. We had a boring meal at the hotel, and then headed out about 7:00PM with our chairs to find a spot on the river to watch the show. 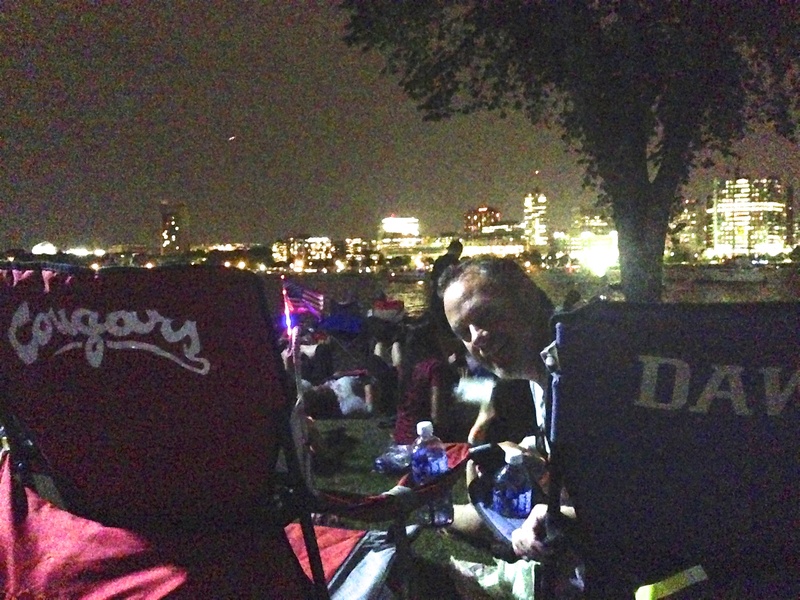 We got to the viewing area about 7:45PM, along with the rest of Massachusetts, and finally got through the security line by about 8:45PM and set our chairs up. The Boston Pops and Beach Boys were playing at the Hatch Shell and it was nice that they had speakers set up so all spectators could hear without having to be right at the stage. The fireworks show started at 10:10PM, 20 minutes earlier than planned, I thought I heard them say the weather was coming in? The show was great, about 30 minutes, but it was a lot of standing and waiting, again in the heat and humidity, and then it was over. We headed to the subway to return to the hotel, and 50 yards from the station entrance we felt our first raindrops, they were right on with the forecast. About 5 seconds later, the heavens opened up and in the time it took for us to run to the station entrance we were completely soaked! Traci said “it was like someone just dumped several buckets of water right on us” and it was true, amazing how fast it just drenched us and everyone else. Well, that made for a very sticky, chaotic, and exciting train ride, everyone just literally stuck to each other, about half dry and half of us soaked, very entertaining to say the least. We made it back to the hotel, and Bill was set to arrive in about 1:00AM, so we had already made a plan to meet him in the lobby the next morning. We got up and met Billy in the lobby Friday at 9:00AM – so great to see him! (Earlier, we canceled our 2nd night reservation at the hotel since the fireworks were moved up, no reason to spend the extra money). 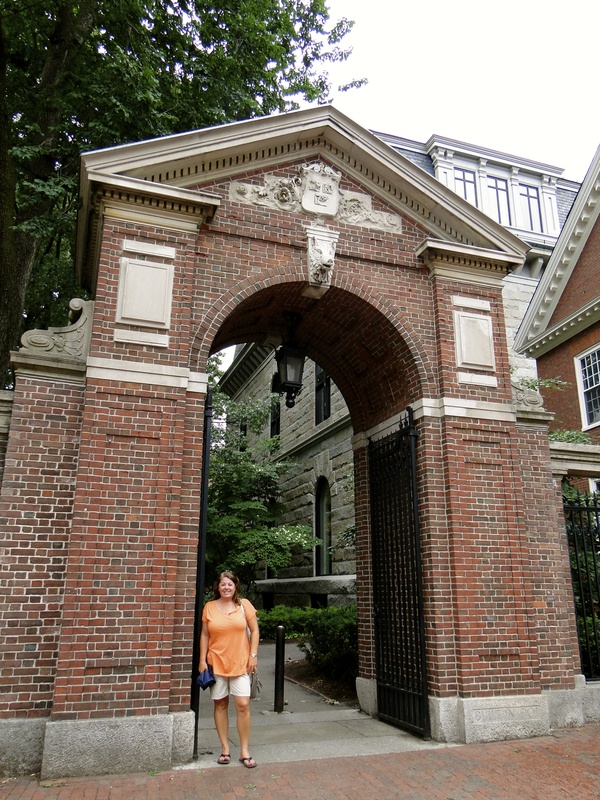 We decided to drive around downtown for a while and go find a breakfast place near Harvard. We ended up at a great little place and devoured our meals, I think we were all a bit hungry. 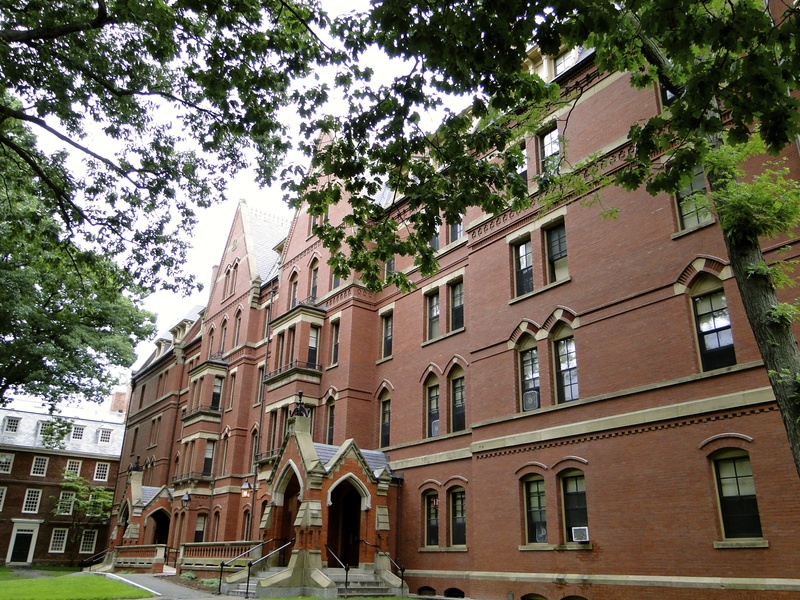 Next, a walking tour of the Harvard Square area, despite the raindrops, it was very neat little part of town. We then made our way back across town to the Harpoon Brewery in “southy” (South Boston) and got there just before the masses. When we left there 45 minutes later there was a 30 minute line to just get in the doors! The real rains of Arthur had now arrived and we could no longer do any outdoor activities. With World Cup games playing, we decided to meet a good friend of Bill’s son, Brian, at a local watering hole and had a nice visit with him. We stopped off for some taco makings and kenneled in back at the MoHo, and watched the Super Bowl all over again – what a way to complete the day! Saturday we headed north in the car with Bill, he had seen a town on the coast to go explore, Salisbury Beach. We drove in, and it was a typical little East coast beach town, a few restaurants, tourist shops, arcades, etc. 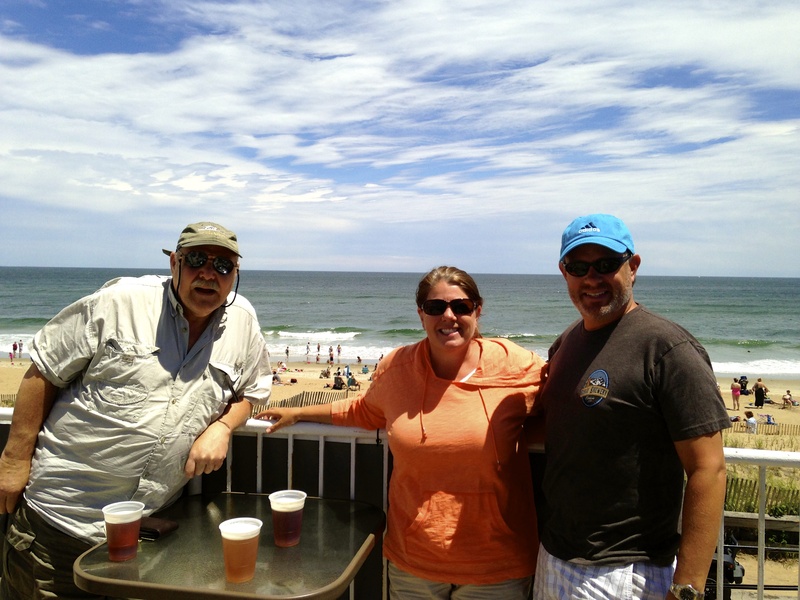 We walked a bit, and then landed on the Upper Deck bar, overlooking the ocean with a nice cool breeze. What a spot, perfect little deck, and ice cold ones for us, we never wanted to leave. We all got hungry eventually, so we walked about 50 yards up the beach to the Surf Side restaurant and sat down overlooking the ocean, and ordered some lunch. They had a very good solo musician playing some great tunes and we were in full relaxation mode now, full bellies and great tunes, life was perfect. We returned to the MoHo, made a fire and polished off some vino with Billy, another great day! Sunday brought our end to Boston, and we made our way up to Portland, ME. p.s. We have many more pics to share, but can’t seem to get strong enough wifi to upload them to a photo stream. Will try again from the next location. 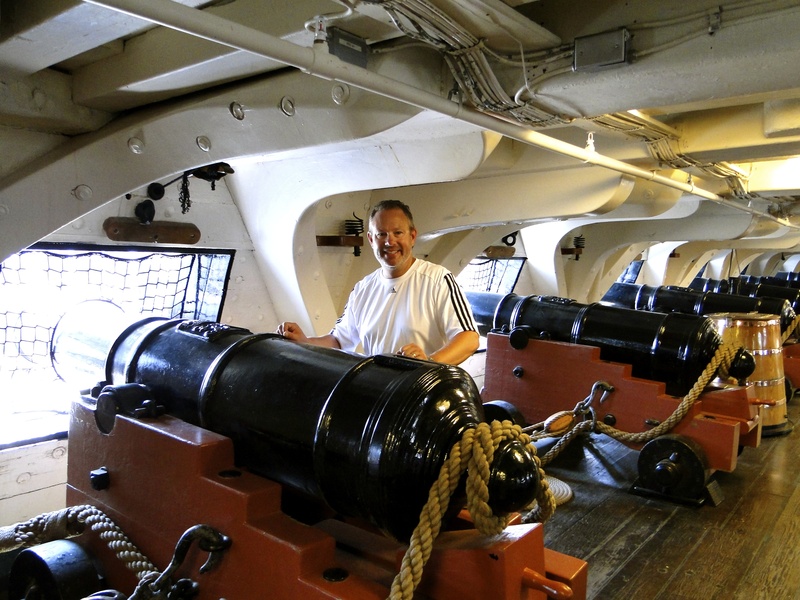 This entry was posted in July 2014 and tagged Boston, Boston Pops 4th of July, Cape Ann, Fenway, Freedom Trail, Harvard, Red Sox, Rockport, Salisbury Beach, USS Constitution, Wicked Tuna on July 10, 2014 by Mike.